Guitar repairs and setups for the Hudson Valley including Rockland county, Westchester county, Putnam county, Orange county….. If you need any type of repairs on your guitar, bass, mandolin, etc. go to the iGuitar Workshop in Cold Spring. Not too far to go for trustworthy, expert repairs and setup. all brands of guitars and other stringed instruments. I recently had a neck reset on my Martin MC-28 at the Martin Factory but it still needed a set up because of high action. it plays the best it has ever played. I also had setups on my MC1P.13 and my i81.13usb. They came back playing great too. Highly recommended for anybody in Rockland, Orange, Westchester and Putnam areas. They also do upgrades of piezo, 13 pin and USB audio right in you guitar. 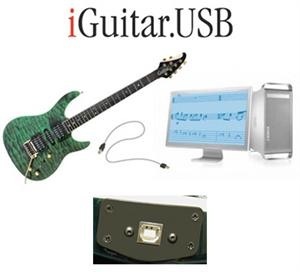 Imagine having a USB port on your Guitar!!!! Tell them Brian sent/referred you. zZounds offers the widest selection of name-brand insruments at guaranteed lowest prices. You can purchase over 125,000 different products from their website 24 hours a day.